I thought I would do a tablescape today. But I didn't do it myself. to visit this beautiful store. I was excited when I downloaded the photos off my iPhone. in the phone takes the most beautiful pictures. This is my first iPhone and I love it. The "Lancaster" is on sale now. Go here. 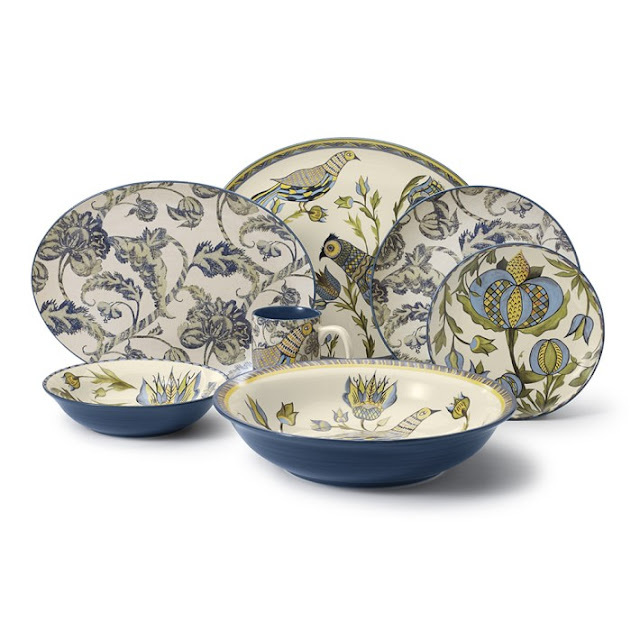 are beautiful with this dinnerware. I love the chairs too. This pattern is "Spanish Floral" dinnerware. with the stack of dishes on the matching runner. I hope you enjoyed your visit to Williams and Sonoma. I LOVE going to WS. My husband and I always joke when we head there... what are we going to buy that we don't even know we want yet? We had our wedding registry there... so many great things in that store. I love going there especially in the Fall and Holiday season!